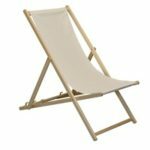 A folding beach chair aka deck chair will serve the purpose of providing you somewhere to relax, as it’s lightweight and conveniently folds away you can take it to the beach, camping, hiking or simply just use it in your garden. If you have many equipment to take to the beach then a folding pull along wagon will be ideal. However, if you prefer to travel light, then perhaps a beach lounger mat might be a better option as this can simply be carried on your shoulder. Not to mention it’s extremely light with most models weighing only just over a kilogram! 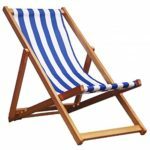 Due to the simplicity of the design, a folding deck chair tends to be quite cheap, even many of the best folding beach chairs are very affordable. Unlike sun loungers, the materials used can vary as some people prefer high quality materials to get more of a luxury feel. If you’re unsure what one will be more suitable for you then we’ve compared the two below. 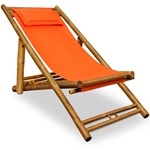 Finding the best folding beach chair should be quite straightforward as it’s a simple design with no complexity. All of these portable beach chairs can fold away so it’s easier to transport from one place to another. A beach deck chair has very few features but we’ll still explain what each function does below. 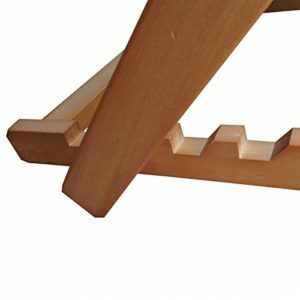 Frame material – The frame material will give an indication of how strong the deck chair is likely to be, it also can make it look more stylish or luxurious. Certain materials will of course cost more money but if you want something that just does the job, steel or metal frames are usually the cheapest. 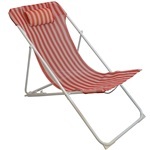 Reclining positions – There are usually a number of positions the chairs can be set to, however it won’t be able to go fully flat like a portable sun lounger would. 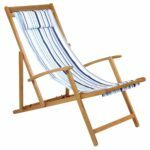 Maximum user weight – Maximum recommended weight you should be in order to use a particular type of deck chair, if you are over the weight limit then some freestanding hammocks will support a higher max user weight. Dimensions – The width won’t change but the other dimensions given can vary as it depends on what recline position it’s based on. But it’ll still give you a good indication of how much space it’ll take up if you’re looking to take the folding deck chair to places with you. Deciding which one to get can be a bit tricky, it could be matter of how it’ll look with your other garden furniture or practicality. Either way, knowing the pros and cons of each one can help influence your decision, so we’ve done exactly that below. Can’t lay down completely flat on it. Can’t lie down on your front. Does not have a luxury feel to it. Able to lie down completely flat or on your front. More choice of the construction material to choose from, ranging from cheap to expensive. Heavier and takes up more space.